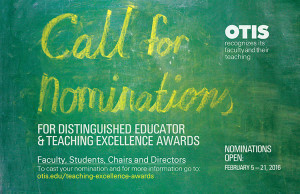 All Students, Faculty, Academic Program Directors, Assistant/Associate Chairs, and Department Chairs may nominate one candidate for the Distinguished Educator Award and two for the Excellence in Teaching Awards. Nominations will be open from Friday, February 5th until Sunday, February 21st at 9:00 p.m. Alumni may also nominate one candidate for the Distinguished Educator Award. Nominate Now! Nominations will be open until 9pm on Sunday, February 21, 2016. Read written comments from past Teaching Excellence Awards nominations. 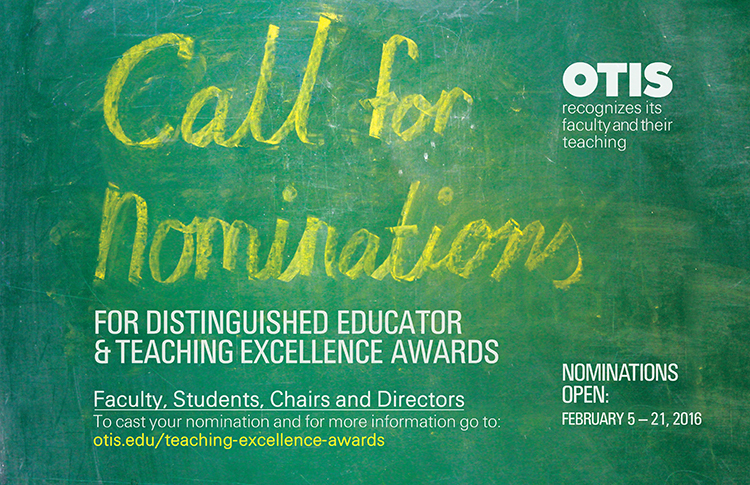 For more information and to submit a nomination, please visit the Teaching Excellence Awards page.